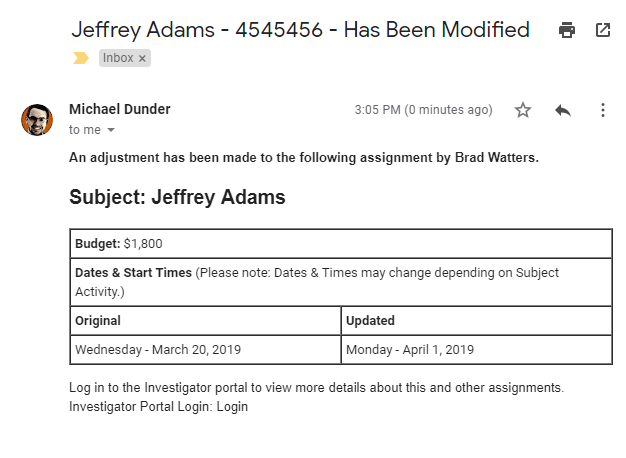 Streamline case handling from assignment to invoice. Manage and document cases as they flow through your company’s process. Search for a case, write a report, document an event or schedule a followup task. Discover new features and capabilities that benefit you daily. See who is available and know what they’ve been working on – from contractors to staff members. The system can automatically add the time and date stamp to uploaded video. A huge time saver! Generate reports automatically to quickly send your clients updates and final findings. A significant event or scheduling change was just made to a case. The system can automatically email everyone to notify them. The investigator, office staff and everyone involved continue to be on the same page. Enter case information, assign tasks, and write notes. 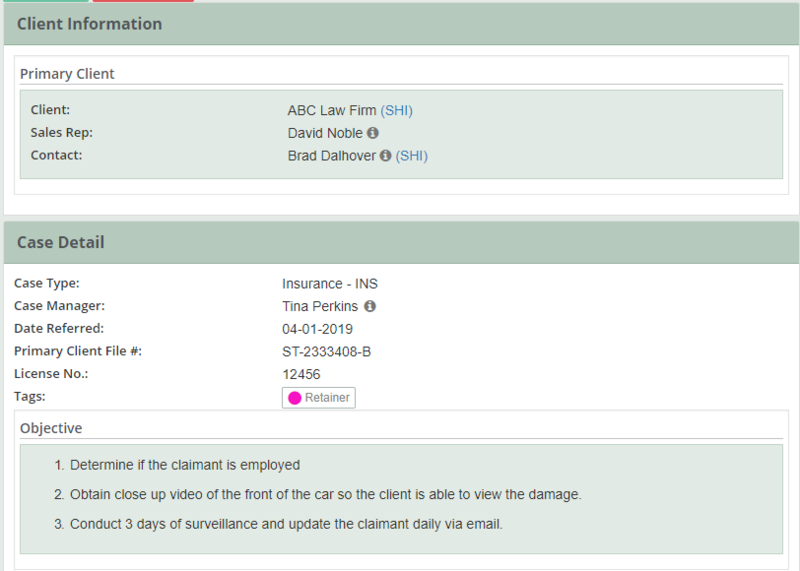 Document any case activity for reference anytime. Need to follow up on a lead? Enter the activity as a case note, then set a reminder task. A client calls in: Outline the conversation in a case note and create follow up tasks. Create a “task list” to ensure you meet and exceed the needs of any client. 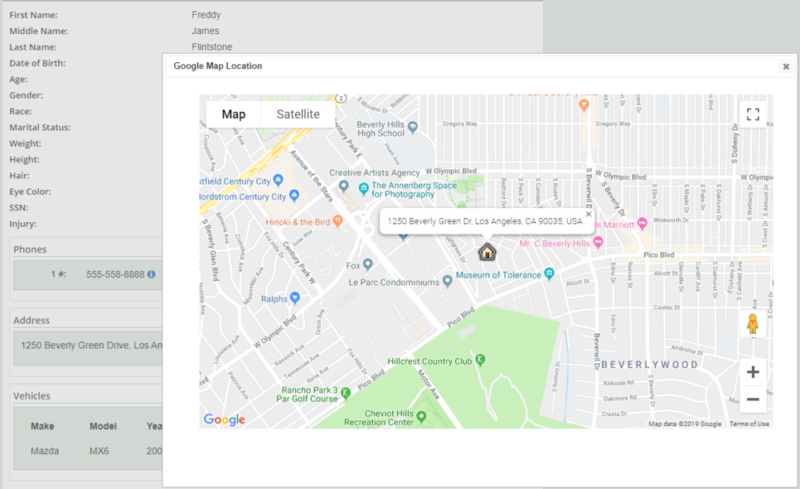 CROSStrax intuitively selects the best investigator for the job by using a geographic proximity selection. This selection process will save enormous amounts of valuable time and prevent unnecessary but preventable expenses associated with investigators “over traveling” to destinations. 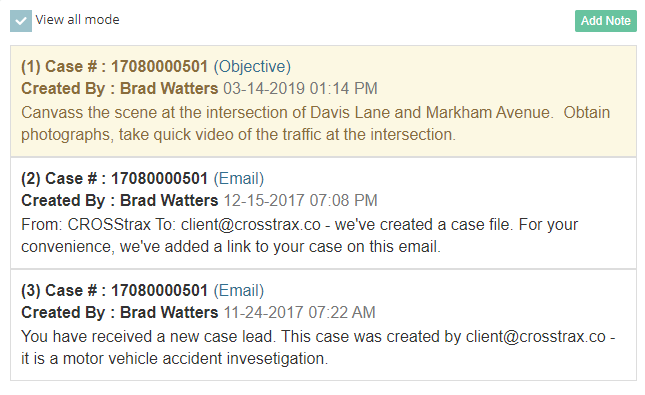 Once an investigator is selected, CROSStrax sends an email alert to the assigned investigator. This email contains a link to the case file so they can quickly retrieve case details.